The Lord of the Rings trilogy is one of the greatest cinematic achievements of all time. In terms of fantasy epics, the genre has never been done better. What Peter Jackson was able to pull off with J.R.R. Tolkien’s opus is something we all may never see again in our lifetime. So when The Hobbit films were announced, all the Middle Earth nerds were incredibly excited. However, when the first installment was released in December 2012, the world collectively sighed with apathy. A lot of what made The Lord of the Rings special was gone. The CGI wasn’t as good, even though it was 10 years more advanced. The screenplay felt arbitrary and rushed (because it was). Also, it the entire trilogy felt padded and stretched out to make 3 movies. As Bilbo said in Fellowship of the Ring, it felt thin, sort of stretched. Like butter scraped over too much bread. So, it has become en vogue to hate on The Hobbit trilogy. However, that is not quite fair. Sure, it did not nearly live up to its predecessor. But, what movie in the past two decades has? We have to give credit where credit is due concerning Peter Jackson’s follow-up trilogy. After Guillermo del Toro left the project, Jackson was almost forced to swoop in and take the helm to make sure he kept the franchise authentic. There are many failures and weaknesses for sure, but there are certainly things for every Tolkien fan appreciate. 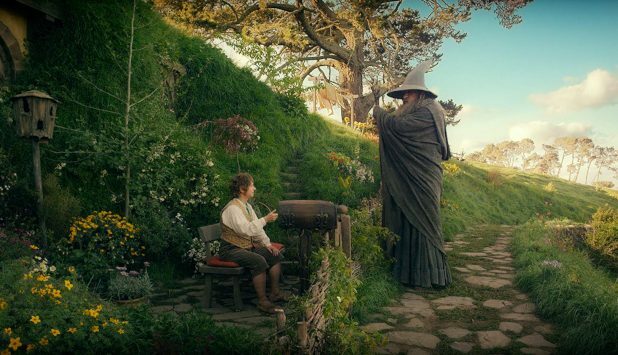 Here are 10 things that make The Hobbit trilogy worthwhile. Honesty, the casting of Martin Freeman as Bilbo may be the most inspired casting of the entire franchise. Bilbo’s character arc really is what holds The Hobbit trilogy together. He starts off as the cowardly, proper neat freak when he is enlisted to be a member of the dwarven party. However, by the end, he is a brave, wise, and battle-hardened adventurer. 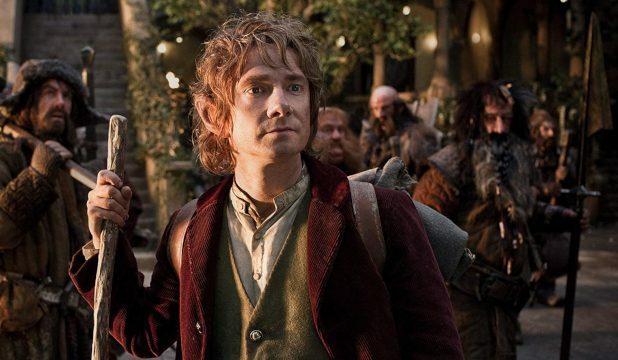 More than any other character, Martin Freeman’s Bilbo is different because of his quest. Not only all of that, but Freeman brings the cheerful delight of the Hobbit race better than any of the previous actors. Quite simply, when a trilogy is named for one character, that character better live up to it. Freeman definitely pulled that off. One of the strongest parts of the original trilogy was Howard Shore’s score. It is one of those rare scores that is immediately recognizable and has several different themes. Just through the score, the audience can tell if the story involves the Shire, Rohan, or the ringwraiths. The Hobbit trilogy is no different. The theme of the dwarves is just as exciting and unique as anything in the original trilogy. Howard Shore’s music is one of the most powerful connections that the viewer has to The Lord of the Rings. The score is simultaneously original and nostalgic, and that makes it special. Speaking of music, The Hobbit trilogy has some excellent original songs as well. The Lord of the Rings movies set the bar pretty high with Enya’s May it Be and Annie Lennox’s Into the West. However, Neil Finn’s Song of the Lonely Mountain and Tolkien veteran Billy Boyd’s The Last Goodbye are fantastic. These songs perfectly put that all-important exclamation point at the end of the first and third movies, respectively. Ed Sheeran’s I See Fire is ok from The Desolation of Smaug end credits. Though, it doesn’t hold a candle to the other two. Take a listen above. They stir emotions in ways that really enhance the legacy of The Hobbit. The Fellowship of the Ring with a lighthearted, joyful affair. The films were going to get heavy and serious, so Bilbo’s birthday celebration was a wonderful way to introduce us to Gandalf and the Hobbits. An Unexpected Journey does a similar thing in its opening scenes. The unexpected arrival of the dwarves to Bag End is a delightful sequence. 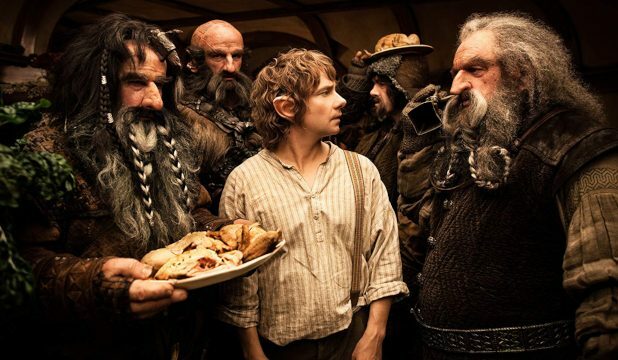 Bilbo is confused and frantic, and the dwarves are terrible houseguests. It puts the audience in a good mood and introduces us, albeit briefly, to the cast of characters. Most people will still on board with the new trilogy at this point because the scene is so much fun. 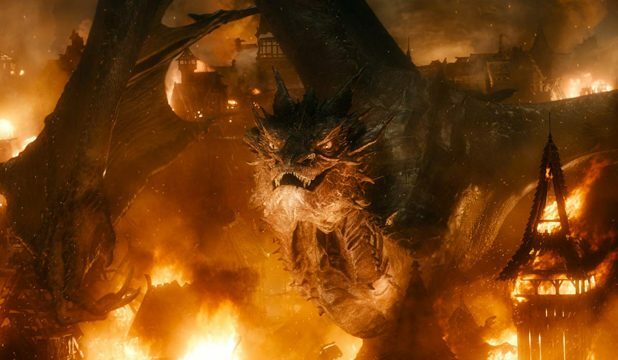 The realization of Tolkien’s most famous dragon was spectacular in The Desolation of Smaug and The Battle of the Five Armies. Smaug was so well done that he may be the greatest cinematic dragon of all time. Benedict Cumberbatch performed motion capture for the dragon, so that is impressive on its own. However, the phenomenal CGI and his dulcet baritone voice is where he excels. There are moments in The Hobbit trilogy where the CGI is lacking, for sure. However, Smaug is rendered perfectly. Though, that creepy, booming voice makes the hair stand up on the back of your neck and makes him truly memorable. People anticipating The Hobbit movies wanted a lot of what they loved in the original trilogy. However, Peter Jackson had to bring a few little nuggets of uniqueness to the newer films. One of the best of these is Radagast the Brown. 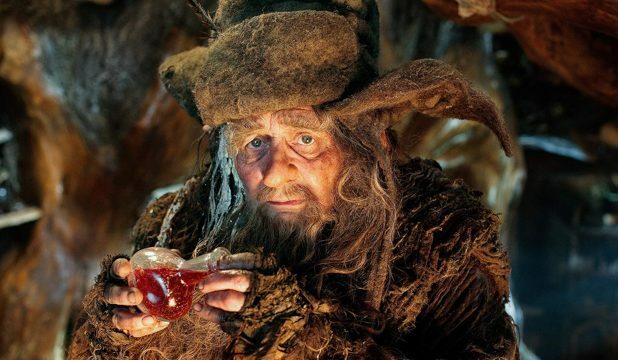 Played by Doctor Who himself, Sylvester McCoy, Radagast is wizard unlike we have seen before. Saruman had the intense gravitas, Gandalf had the playful authoritarian persona, but Radagast is different. He is a ridiculously silly little wizard who focuses on nature. Radagast brings it to Gandalf’s attention that something dark has taken up residence in Dol Guldrur. His silly personality and oddball appearance is a lot of fun. When we see him traveling on a sled pulled by rabbits, it just feels right. When a powerful figure such as Radagast has such a childlike personality, it can really punch up the fear and vulnerability when they are in danger. If you were to ask Tolkien fans what their favorite action sequence was from the original trilogy, you will most likely get a lot of answers. The Battle of Helms Deep, the Battle of Pelennor Fields, The assault on the Black Gate, the Mines of Moria, they were all fantastic. The Hobbit trilogy doesn’t have too many great action sequences. The Battle of the Five Armies is a confusing mess. The river barrel escape is stupidly juvenile. 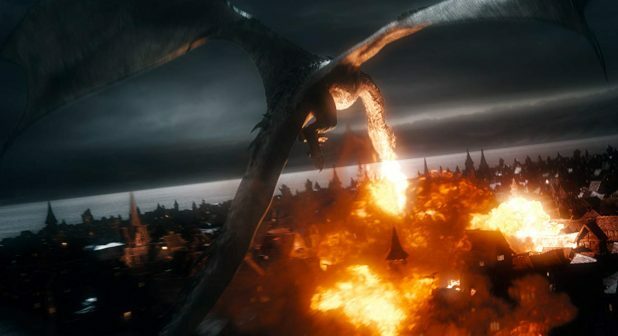 However, when The Battle of the Five Armies opens with Smaug’s destruction of Lake Town, it is spectacular. This dragon is supremely dangerous and he rains down fire and terror at a level that almost seems like it is out of a different franchise. It is as if you can actually feel his fire breath and you hurt just like his victims. Not only that, but this is where Luke Evans’s Bard shines. His desperation to get that dragon-slaying arrow in flight will have you cheering out loud in encouragement. This may be the most perfectly realized scene in the entire Hobbit trilogy. Bilbo was separated from the dwarves while in Goblintown. This is where the famous interaction with Gollum occurred. After everyone escapes and Bilbo is invisible due to his new ring, Thorin exclaims that he is sure Bilbo has slipped away and deserted them. How Bilbo reacts to this accusation speaks for itself. It fills Bilbo with pride. Gandalf is impressed and a bit inquisitive. However, Thorin and the dwarves are thoroughly touched and embarrassed. It is this scene that really congealed Bilbo’s proper place as the company’s burglar and friend. It really isn’t until after that speech that Thorin starts to respect Bilbo. Then, it isn’t until after Bilbo intervenes in the climax of An Unexpected Journey and saves Thorin’s life that he is considered a friend. 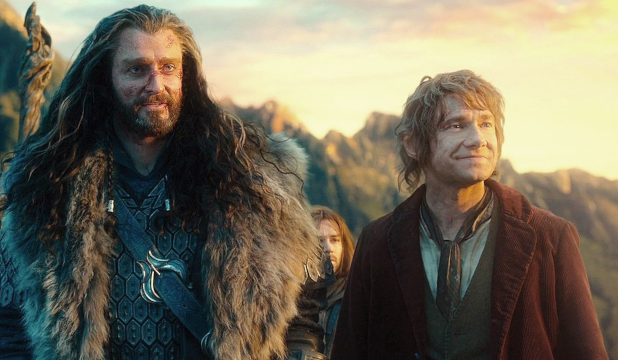 The Thorin/Bilbo friendship is the small bit of heart that seems to be lacking throughout most of The Hobbit films. 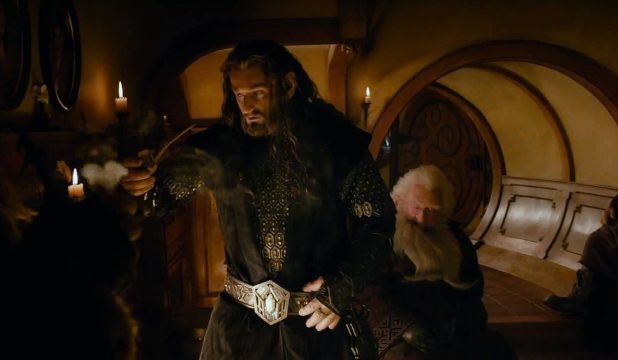 One favorite scene is in Erebor, when Thorin suspects Bilbo is in possession of the Arkenstone. Bilbo reveals an acorn from Beorn’s garden. Their exchange is fantastic. Martin Freeman and Richard Armitage had great chemistry and their character’s relationship is essentially the only one worth caring about. It is quite possible that you disagree with one, several, or even all of these points. There are certainly people out there that think everything about The Hobbit trilogy is disastrous. However, you have to admit that it was great to be back in Middle Earth again. Peter Jackson is a master craftsman, and he definitely recreated Middle Earth wonderfully. As Tolkien fans, we got to see the Shire and Rivendell again. We got to see Christopher Lee, Cate Blanchett, and Hugo Weaving resurrect their classic characters again. 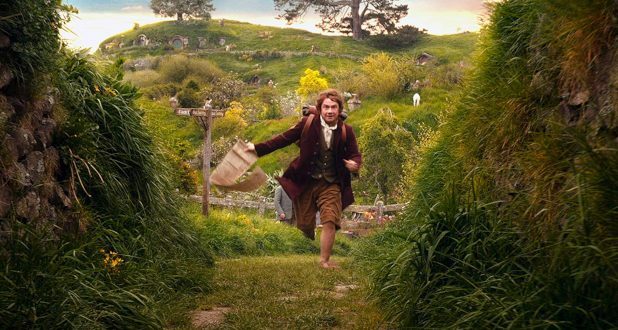 However, in a more general sense, we got to enjoy the sights and sounds of the world that Peter Jackson made us fall in love with more than 15 years ago. Purchase the trilogy now on Amazon for $59.99.